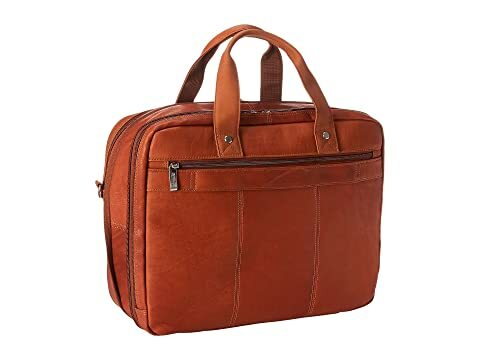 The "Out of the Bag" - 5 to 6 1/2" Double Gusset Expandable Top Zip Portfolio Computer Case from Kenneth Cole Reaction® is the perfect bag for all of your business needs. 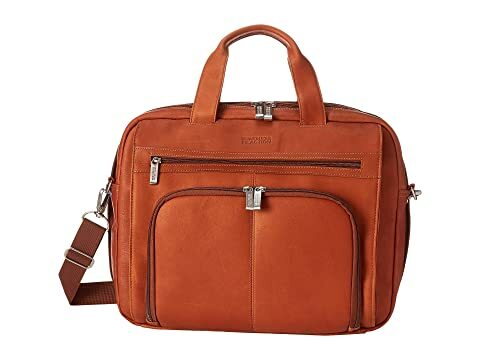 Organize your tech and paperwork with sophisticated ease when you carry the Kenneth Cole Reaction® Till Death Do Us Port Colombian Leather Top Zip Computer Portfolio. Laptop compartment holds up to a 15" laptop. Made of durable genuine leather. Rich full-grain leather outer material is soft to the touch, but rugged enough for even the toughest of travels. 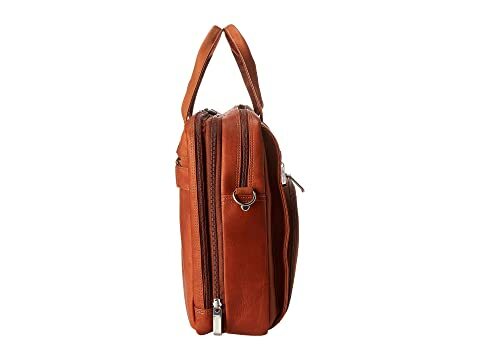 Versatile carry options allow you to carry the bag by hand using the handle grips or over your shoulder using the padded and adjustable shoulder strap. 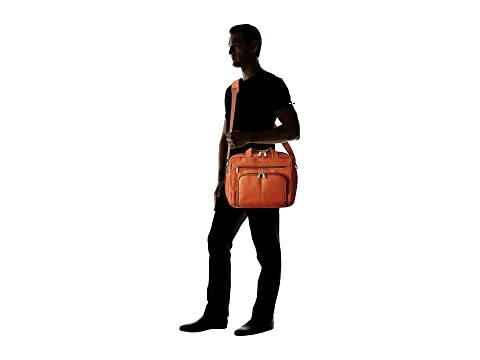 Versatile carry options allow you to carry the bag by hand using the top handles or over your shoulder using the removable and adjustable shoulder strap. Back strap allows you to conveniently slip your case over most wheeled uprights during transport. Front zip compartments provide quick access to smartphones and key documents. Full-length zippered front pocket is the perfect stop to keep your passport, receipts, or other items that you need quick access to. Full-length zippered back pocket also features a strap that fits over most telescoping trolley handles. U-shaped front pocket unzips to reveal interior organizer pouches for storing business cards, pens, and more. Zip-around allows for easy bag expansion. 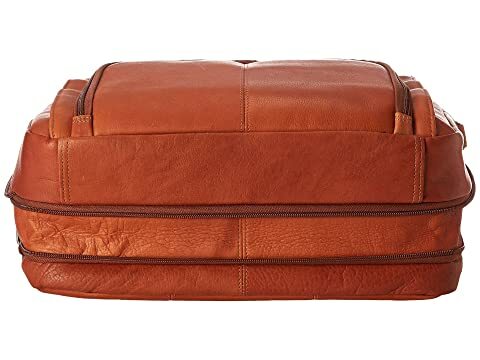 Dual compartment openings allow you to keep all of your important business items neatly organized. 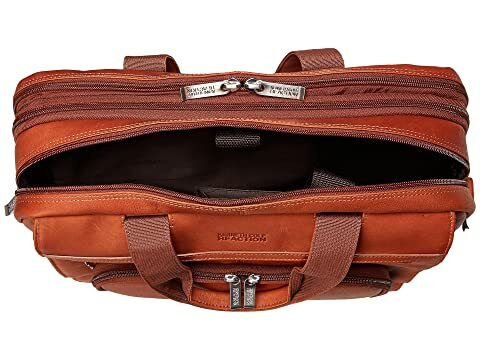 Front compartment expands 2 1/2" and features a padded computer pouch for safely storing your laptop during travel. Rear compartment includes a three-file divider to help keep important documents neatly organized. Dimensions: 17.0" wide x 6.5" deep x 13.8" high.